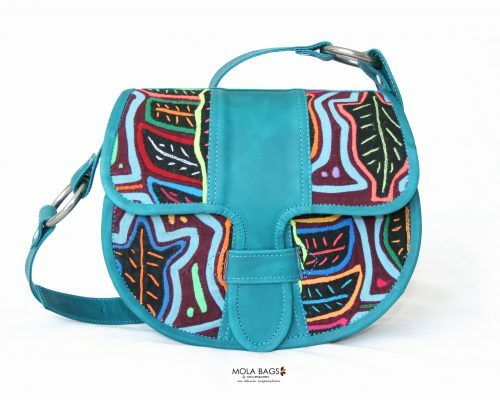 Leather cross-body bag with Mola textile - Handmade in Colombia! 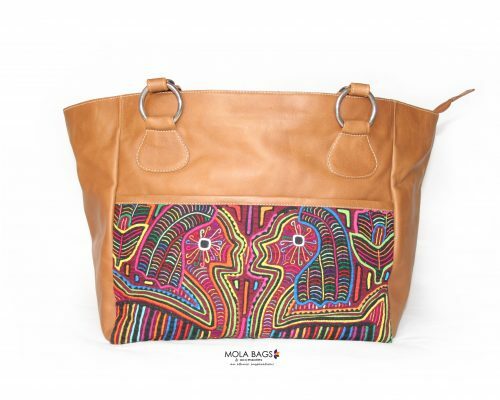 Beautiful leather cross-body bag handmade by artisans in Colombia with Mola textile decoration on the front side. There is only ONE exemplar of each bag! An ethnic inspiration! 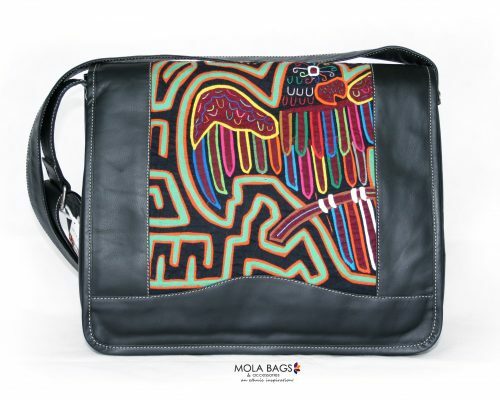 Leather Cross-body bag with a beautiful handcrafted textile Mola decoration on the front side. The main compartment is available through a magnetic button and two pull-out strings. The red leather tone in combination with a beautiful Mola application makes this bag totally unique! Dimensions: Lenght base: 25cms. Width: 14cms. Height:30cms. Materials used: High-quality Calf-leather, Mola-Dekor from Cotton, Inside Lining from Polyester.